If tomorrow I found one more chance to begin, I'd love you all over again. You need to keep your perspective. You have to remember where you came from. To me, songwriting is the backbone of Nashville. Looks can go, fads can go, but a good song lasts forever. When my girls do something very small, it means something big to me. Just watching them accomplish things from the time they're infants in wonderful. Do what's in your heart and don't let people change you. Do what you want to do. Ten years ago I was driving a forklift at the Kmart warehouse and nobody was screaming at me then. I guess it's the magic of show business. I hate the star part of the business. I like the singing, and writing and all that goes with it. But I wish when I get off the tour bus I could be more normal and go down to Kmart and buy me a fishing lure. Everybody says it's nice to be nominated and it is. It's nice to be included, especially with as many years as I've been in the business. A lot of people's careers aren't lucky enough to last this long and I don't know why it keeps working, but it does. I'll just keep on doing it. I'm just a singer of simple songs, and that's the truth. I like collaborating, because if I didn't, I'd probably never finish a song. New Updates! (4/22/2019) We've been working really hard on completing our membership system so you can submit quotes and keep track of them. Once this is complete in the coming weeks there will be a lot more quotes by Alan Jackson and other authors. 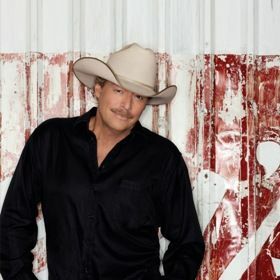 We've also changed the sorting on the site so you now see the latest Alan Jackson quotes first. Our goal is to have the best Alan Jackson quotes on the web!